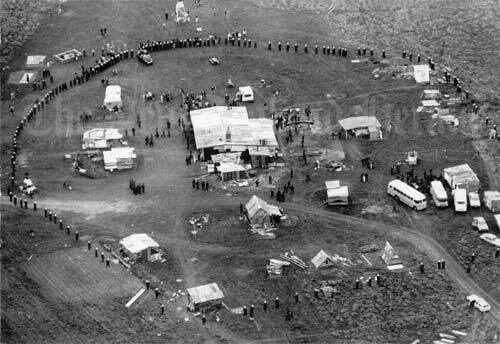 In 1977–78, protestors occupied Bastion Point in Auckland for 507 days before being evicted by police. The protestors, many of them local Ngāti Whātua, were demonstrating against the alienation of Ngāti Whātua land in this prime area, immediately to the east of downtown Auckland. The movement found its beginnings in the forced removal of Ngāti Whātua people from a village nearby in the 1950s. The Bastion Point occupation was one of the most important events in modern-day Māori protest. bastain point is now a pristene piece of land because it was not developed into housing estate.